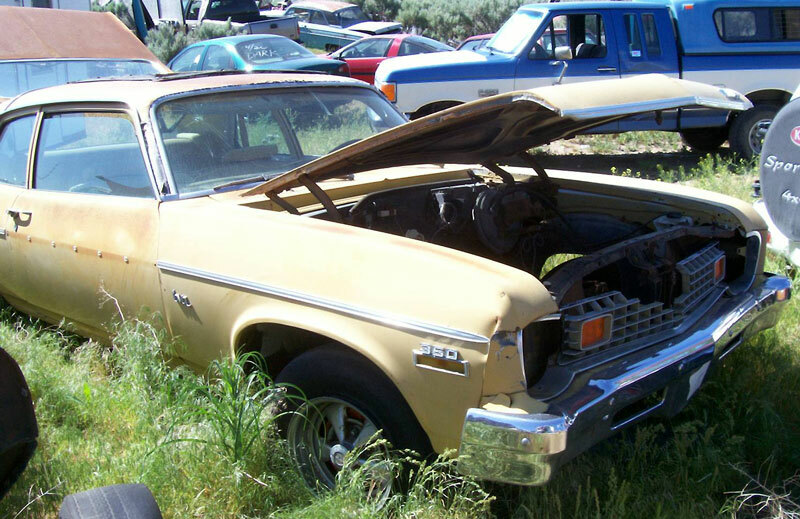 This light yellow 1973 Chevrolet Nova Hatchback 2 door coupe is a very solid, straight and dry classic muscle car ready to be restored or customized. 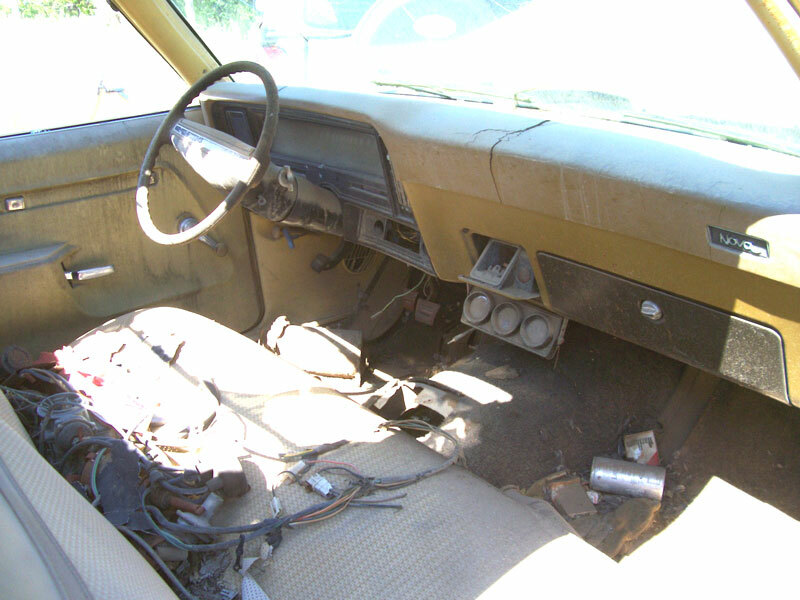 This is an optional 350 CID V-8, factory four speed floor shift car with Nova Skyroof, power steering and power brakes. The body has excellent solid western desert sheet metal. There is a dent in the front of the right front fender. The trim is missing from the right door and left front fender and quarter panel. There are small dents in the left front fender above the trim line. The right quarter panel is dented in the back behind the wheel well. The grill is broken and the windshield is cracked. 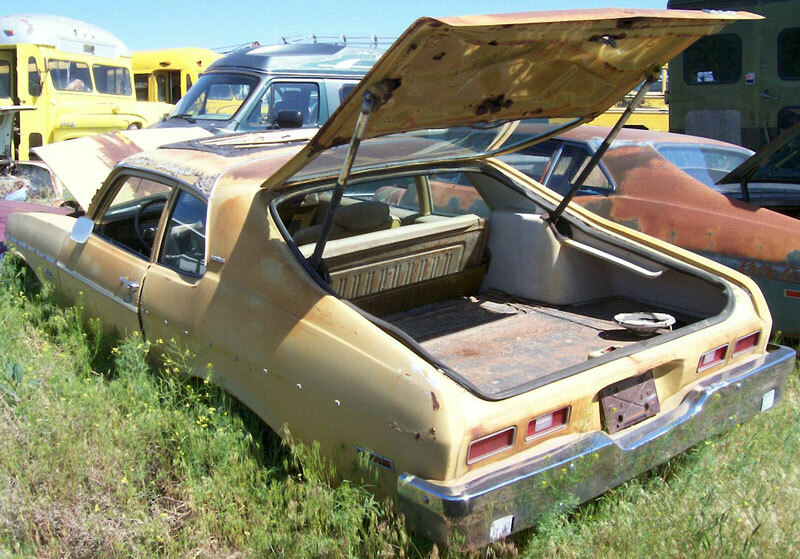 The yellow and tan bench seat interior is all there except the radio is missing. There is an add-on gauge set under the dash. The floors are solid. The factory floor shift hole has been enlarged on the left side. There is some rust in the inside panel of the hatchback lid. The optional 350 CID V-8, four speed manual floor shift transmission and radiator are gone. 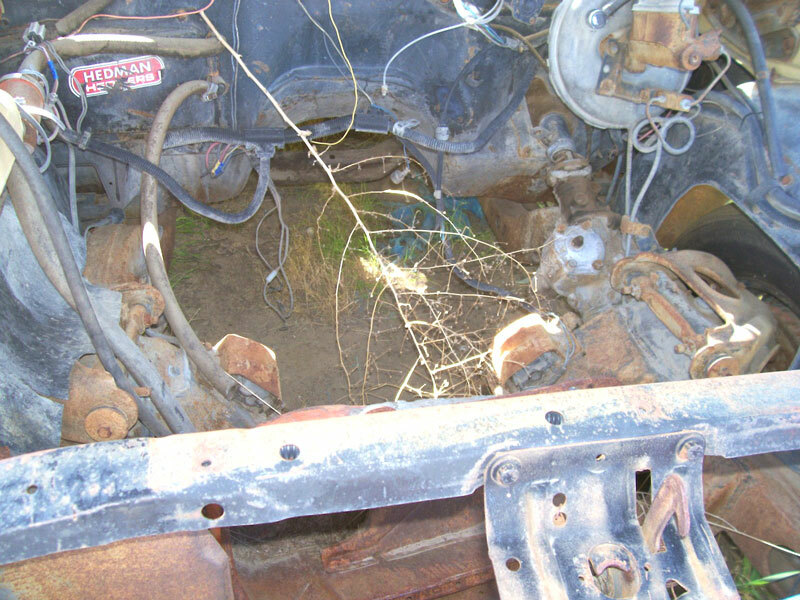 Here is your opportunity to build a real-deal 73 Nova Hatchback 350 four speed muscle car. For sale $5,500.